Dan Trommater is an engagement speaker who helps organizations improve communication and promote collaboration at all levels. His use of world-class magic and humour, combined with the teaching of practical tools and techniques, leads to engaging programs with powerful results. An engaged team is arguably one of the most valuable assets your organization can have. True and lasting engagement goes beyond that smile that greets you in the morning. It creates a space for employees to feel connected, committed to and inspired by their work. An engaged and unified team works towards the organization’s goals, as opposed to their next paycheck. Increasing employee engagement investments by just 10% can increase profits by $2,400 per employee, per year. Empathy is often seen as an intrinsic ability in people who can intuitively connect with another person, but it’s also a skill that can be learned. Companies can work to create a culture of empathy between their employees and their customers, strengthening the relationship and bond between brand and consumer. The more digitally connected people become, the more they will value the interactions that make them feel cared for and connected. Being a leader is a lot like being a magician. Today’s leaders need the skills to connect to diverse groups of people, inspire them to work together for a common goal and help them to believe that anything is possible. In this engaging program, Dan shows how leaders can build strong relationships and lead more effectively by applying the tactics and philosophies of professional magicians. • How to inspire confidence and be more influential. Dan also offers customized presentations on change management, influence, communication and more. View a full list of his presentations here. Many people consider creativity to be a magical, mystical gift for a blessed few. In fact, everyone can learn to become more creative. In today’s world, more creativity means more productivity, innovation and profitability. Working both individually and in groups, participants will apply tested theories for maximizing creative output, then the workshop culminates in groups working together to create their own magic tricks! Participants will leave empowered with a positive attitude, practical creativity tools and a new way of looking at problem solving. Getting the buyer to say “yes” depends on building rapport and trust. That’s not always simple. Dan was wonderful to work with; he interviewed me to make sure that the message he delivered was exactly what I wanted - and that’s exactly what he gave me. His presentation kicked off our conference in a fun, imaginative way while delivering important messages that were right on target. My team was able to see the importance of making changes to how we do account management to create an exceptional and enhanced customer experience. - Director, Ceridian Canada Ltd.
We hired Dan to do a really special presentation for our sales team at our national sales meeting and I couldn't be happier with the results. The session was completely engaging with everyone actively participating. At times, you could hear a pin drop. Dan's use of magic throughout the program to support the theme of 'expanding how you think' is very valuable. We will carry these ideas forward with us for a long time. Dan's magic drove home key messages on leading change in a way that was entertaining, insightful, and relevant. Dan was born for this. His presence on stage is powerful and engaging, and his interactive presentation had the crowd on the edge of their seats, wide-eyed and eager for his next move. I was blown away by his ability to connect with our 400 person audience and show them that their perceptions and assumptions have an incredibly powerful impact on their journey through life. Dan was wonderful. He didn't pretend to be an expert at our profession, but through careful pre-interviews, he made his content very relevant to our group. And let's face it, magic is awesome. Dan uses magic to communicate valuable content expertly. It all comes down to communication and perspective. I was just enthralled. Dan is a repeat performer at the Magic Castle – the world’s most prestigious magic performance venue. 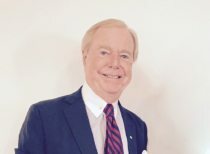 His speaking and training clients include the Rotman School of Management, Queen’s University, TD Financial Group and the Marshall School of Business at the University of Southern California. Prior to becoming a magician, Dan taught photography at the university level. It was there that he met his wife Katy Whitman, whose father is an amateur magician who sparked Dan’s interest in magic. He and Katy (the photograph conservator at the Art Gallery of Ontario) live in Toronto. On a personal level, Dan is an avid do-it-yourself-er who enjoys woodcraft, knife-making and refurbishing vintage axes.